Hello lovely ladies! Diwali is just a few days away and as always, this is the most festive time of the year. From traditional sweets to dry fruit; diyas and candles to fairy lights and flowers; you can’t miss the fact that the most loved Festival of Lights is just around the corner. Aren’t we all eagerly looking forward to being dressed up in traditional finery this season! In today’s post, let’s look at a few ways to add a modern twist to the traditional saree by pairing it with modern versions of the saree blouse. Wear your traditional saree with a silk corset in champagne gold or metallic silver to add some sophisticated bling to the outfit. Why not wear an off shoulder top in a basic black or white, to add a contemporary vibe to your festive look. 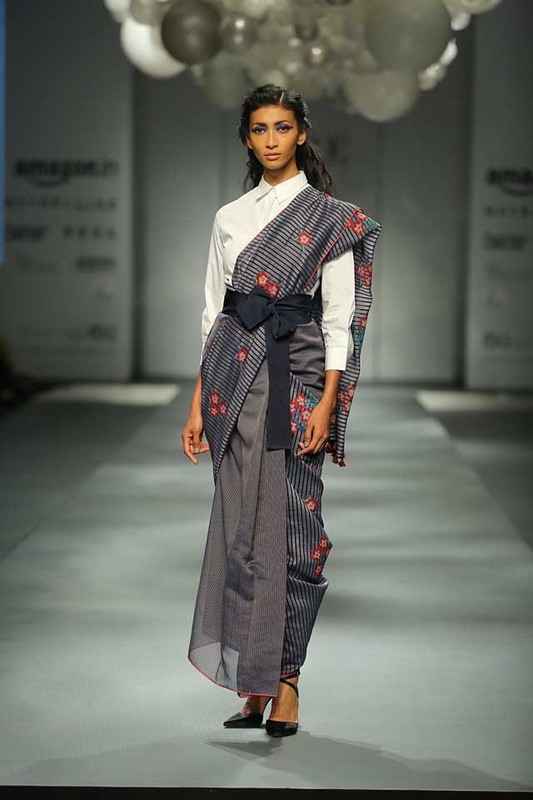 If you’ve already bought your saree but can’t be bothered to get a matching blouse stitched, why not look into your wardrobe and pair your saree with a collared button-down shirt, to stand out in the crowd. Pair a peplum top with your Diwali saree, and you’re sure to be the ‘head turner’. This look is guaranteed to fetch you compliments! 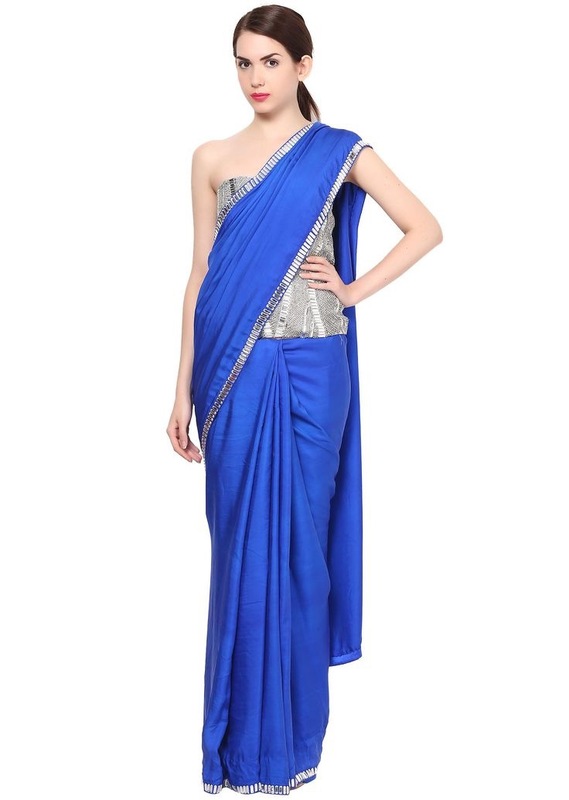 Would love to hear from all you ladies about any other styles of tops/shirts that you can wear with a saree!